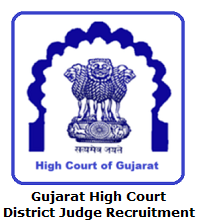 Gujarat High Court District Judge Recruitment 2019 Notification information is available on this page. The Gujarat High Court authority had released a recruitment notification for 26 District Judge posts. Candidates who are eagerly waiting for the Gujarat High Court District Judge Jobs 2019, they should apply for Gujarat High Court District Judge Vacancies before the end date. For this Gujarat High Court District Judge Recruitment 2019, the application process starts on 1st April 2019 and the end date on 30th April 2019. All eligible candidates should apply for Gujarat High Court Recruitment 2019 as soon as possible. Aspirants can check the Selection Process, Eligibility Criteria, Salary, Application Fee, Important Dates, Age Limit and Application Process details from this article. Candidates can download Gujarat High Court District Judge Recruitment 2019 Notification form this post by hitting on the below given link. Good news for the candidates who are looking for the latest job openings in the Gujarat High Court organization. Yes, the Gujarat High Court had released a recruitment notification for 26 District Judge posts. All the job seekers must utilize this great opportunity by applying for the Gujarat High Court District Judge Jobs 2019 before the closing date. Candidates can check the eligibility criteria from this article. Aspirants who will meet the eligibility criteria, they only apply for Gujarat High Court District Judge Vacancies. Otherwise, the higher officials will reject the application forms. Seven Years, as on 30/04/2019. Candidates who got selected in the Gujarat High Court District Judge Recruitment Process, they will get Rs. 51,650-1240-59,090-1390-63,260+ Allowances. The Gujarat High Court officials will conduct the following selection round to select the candidates for 26 District Judge posts. Candidates who will clear the preliminary examination, they will promote to the main examination. After completion of the examination, officials will be called for the Personal Interview. Candidates can check the application fee details from this section. Here in this section, we had provided information about the Age Limit. To apply for Gujarat High Court District Judge Recruitment 2019, aspirants should have the Lower age limit for applicants is 35 years. Upper age limit for SC/ST candidates is 48 years and OBC contenders is 45 years. Gujarat High Court main page will open. In that main page, Recruitment option is available. Click on Current openings section. Find Gujarat High Court District Judge Recruitment 2019 Notification and click on it. Make the payment through online and click on the submit button. Through this article, we had provided complete information about Gujarat High Court District Judge Recruitment 2019 Notification. Aspirants if you have any queries related to this post, then leave a comment in the below given comment box. To know more similar updates candidates should bookmark Sarkari Recruitment by using Ctrl+D. Thank you.